With Juvederm® dermal fillers, you can make subtle changes to your facial appearance to achieve long-lasting, more youthful-looking results. At Park Meadows Cosmetic Surgery, we offer our patients the family of Juvederm® fillers for a variety of options in non-invasive facial rejuvenation. During your consultation, we can help you select the best options based on your specific needs and goals. Please call us today at 720-457-4471 to arrange your consultation. Lost facial volume causes your cheeks to flatten and your skin to sag. You can counteract these signs of aging by returning volume to your mid-face and recapturing a more youthful appearance. Juvederm Voluma® XC lifts and contours your cheeks by restoring the youthful volume that has been lost with age. Juvederm Voluma® XC is the first and only FDA-approved injectable gel to instantly add volume to your cheek area to correct age-related volume loss in adults over the age of 21. Results from Juvederm Voluma® XC can last up to two years. When you have lost skin elasticity due to aging, you need added volume to provide smoother skin texture, free from deep lines and wrinkles. Juvederm® XC smooths parentheses lines and wrinkles around your nose and mouth. It is a hyaluronic acid based facial filler that is designed to soften the signs of aging by physically filling in areas of skin volume deficiency, but also by acting as a source of internal skin hydration. Juvederm® XC is approved by the FDA for the treatment of moderate to severe nasolabial folds, vertical lip lines, and marionette lines. Juvederm® XC is also safely used to add volume to the lips. Treatment of moderate to severe facial lines can last up to a year. Juvederm® Vollure™ XC softens facial lines and wrinkles. It is FDA-approved for the treatment of moderate to severe facial wrinkles, including nasolabial folds. Juvederm® Vollure™ XC features the same Vycross technology that is used in Juvéderm® Voluma® XC and Juvéderm® Volbella® XC. Vycross technology combines high and low molecular weight hyaluronic acid chains to provide greater malleability, greater lift, and longer-lasting effects. You can enjoy the smoother appearance of your results for up to a year and a half. If you have naturally thin lips or have noticed your lips thinning over time while vertical lip lines become more noticeable, then Juvederm Volbella® XC may be the perfect solution to give your lips a more youthful plumpness, improve the symmetry of your lips, and reduce the appearance of those fine lines. Juvederm Volbella® XC adds volume to your lips and smooths vertical lip lines for results that can last up to a year. If you want fuller, pillowy lips that don’t look overdone, then Juvederm Volbella® XC may be perfect for you. This soft, smooth filler provides natural-looking lip enhancement and wrinkle relaxation. Volbella refreshes your look by smoothing vertical (smoker’s) lines and marionette lines that extend from the corners of your mouth to your chin. Eighty percent of patients reported improved satisfaction with their lips one year following treatment. Like other Juvederm fillers, Volbella is made of hyaluronic acid. HA occurs naturally in your skin, cartilage and elsewhere in your body. When used as the active ingredient in a filler, HA plumps and smooths depressions in the tissue that form wrinkles. Or, in the case of Volbella, the HA enhances the shape and contours of the lips, and smooths lines around your mouth. HA normally attracts water. This causes it to swell, exaggerating its filling effect; however, Volbella is made with a lower concentration of HA that does not attract as much water. This allows our injectors to create the most natural, customized results that never look "overdone." Volbella is also "cross-linked" (modified) in a manner that makes it last for up to 12 months while still looking great. Juvederm calls this "Vycross" technology. Vycross technology also makes Volbella very smooth, and generally means it causes less swelling because less of the filler has to be used. Does a Juvederm® treatment hurt? Juvederm® is tolerated well by our patients. Juvederm® contains lidocaine, which helps make the treatment more comfortable and tolerable. A topical numbing cream can be placed on the areas of injection up to 30 minutes prior to the treatment to help alleviate any discomfort during the process. However, most of our patients tolerate these treatments without the need for the numbing cream. If you're wearing makeup to the appointment, we will have you remove your makeup at our office so that we can place the numbing cream on the treated areas. How will I look immediately after a treatment of Juvederm®? Immediately after a Juvederm® injection, you can expect the injection sites to have some redness and swelling. Bruising is common and usually lasts 3-7 days. Most patients can easily return to work the next day without any problems, other than potential bruising. Can I have a BOTOX® Cosmetic Treatment and a Juvederm® treatment in the same visit? Yes! In fact, we prefer you combine the appointments if at all possible! BOTOX and Juvederm® are most often administered together to help reach your facial rejuvenation goals and to avoid the inconvenience of having to come back multiple times. What discounts do you offer for Juvederm® fillers? We always post our current specials on our website. However, Allergan® offers an incredible, FREE program for accumulating points called Brilliant Distinctions. 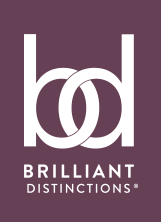 Enroll in the Brilliant Distinctions® program and earn points every time you receive a BOTOX® Cosmetic treatment, JUVÉDERM® XC Injection, JUVÉDERM VOLUMA® XC injection, Latisse® or SkinMedica® purchase from our office. Redeem your points for savings on your next treatment or on other select treatments that your doctor may determine are right for you. Enroll now! Remember, you can use our financing options to pay for BOTOX® Cosmetic, JUVÉDERM® XC, JUVÉDERM VOLUMA® XC, Latisse® Eyelash Enhancer and SkinMedica® products. Apply now!! Are you ready to see the difference that Juvederm® fillers can make? Call Park Meadows Cosmetic Surgery today at 720-457-4471 to schedule your consultation and find out which fillers are right for you. We welcome patients throughout the Denver metro area.